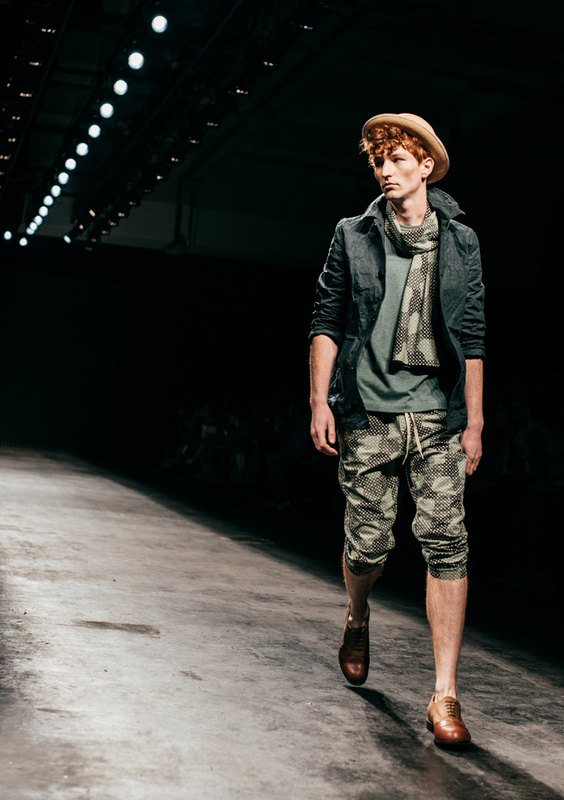 YMC London Menswear SS16 at The Old Sorting Office. 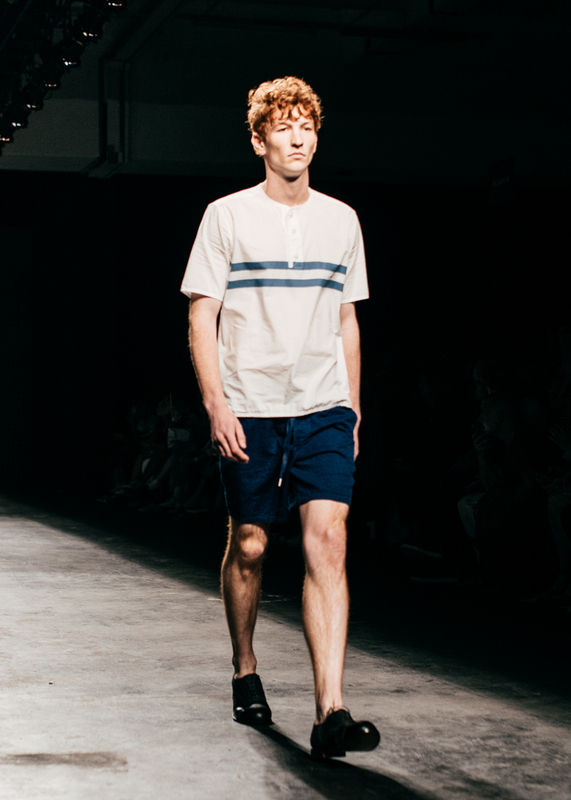 Fraser Moss commented ‘YMC’s collections tend to be quite eclectic, SS16 has been very much about the art of creating coherence in a chaos of ideas’. With the stick-figure boys in their straw bowlers and dusty linen chore jackets resembling characters from an L.S. Lowry painting. Sharply bonded fine-line knits in button vest and short combos, worker jackets and coats in washed out hues had a waist cincher, adding a new direction to the usually boxy cut, and loosely tapered trousers all worked harmoniously to maintain the intelligently minimalist feel YMC is adored for.